If you cannot raise or adopt a puppy yourself, but you still want to participate in apuppy journey to become a hero service dog, you can sponsor several phases of a puppy life. If you are looking for a charity to donate to, in order to help others who are worse off than you? Then why not consider sponsoring puppies to be guide dogs, an excellent way to pay for dog intensive training? Sponsoring puppy training is a long process since it takes up to two years to properly train a dog. There are approximately 10,000 blind or partially blind people who can benefit from having a dog helper, so sponsoring a puppy to become one is a wonderful sacrifice to humanity. By sponsoring a dog, not only will you change the dog lives, but you will also change the lives of many others who desperately need it. A small monthly gift will help finance housing, food and veterinary care for dogs that have nowhere to go. Sponsoring a dog is very easy, just fill out the form on the company's website and agree to donate anything from five pounds to the maximum you can afford. Your money will be set for one puppy and will form part of the fund that is reserved for his training. Little Jaxton Betschart, a four-year-old boy, captures the attention of social media by rendering this humanitarian assistant. The child decided to pay adoption fees for two pit bull dogs. Tank, a dark gray pit bull, was one of the two choices sponsored by Jaxton. The boy was very excited to see Tank that he ran up to the front of his enclosure. "Mommy! He’s big and chunky like me," Jaxton told his mother, according to iHeartDogs. 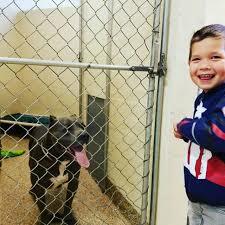 Initially, Jaxton wanted to adopt Tank, but the family could not because of the breed restrictions on military housing. After explaining to Jaxton that he could not adopt the two pit bulls, Elyse told Jaxton that she could still help the puppies to find homes. Through the sponsorship program, Jaxton became the Guardian Angel of Tank and Penelope, paying their adoption fees. Penelope, another pit bull, immediately caught Jack's eye because of the nice spots on her head. Since then, Jactton Penelope "spots"
Thanks to Jaxton, his wonderful works inspired others to give back as well. For most children, their allowance will be used for the last toy or candy. But Elise Betschart was surprised when her son, Jackston, decided to do something more human with his savings by donating is money. 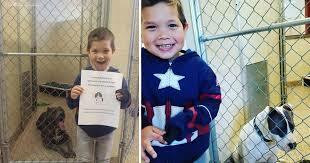 A Boy Uses His Allowance to Rescue Two Dogs. Jennifer Appel and Tasha Fuiaba ran into a problem during a 2,700-mile trip from Hawaii to Tahiti. After their rescue, they credited the two dogs onboard with them, with maintaining their morale, and said they were able to survive because they packed a water purifier and enough food to last for a year's before leaving. "There is a real humility to wondering if today is your last day. if tonight is your last night," Appel told media from the USS Ashland, which rescues them. 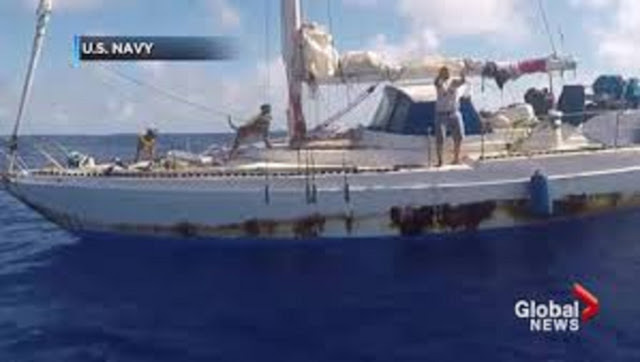 The women, who are both from Honolulu, lost their engine in bad weather in late May, but believe they can still reach Tahiti using their sails. But they were drifted into the ocean when their mast broke. Appel's mother said after speaking to her on the phone. Two months into their trip, after arriving in Tahiti, the sailors began making distress calls. But there were no boats nearby and they were too far from the sea for the signals to be detected on land. Appel said they sent a distress signal 98 days later, but got no response. "It was very frustrating and very discouraging, but it's the only thing you can do, so you do what you can do." A group of sharks attacked their boat one night and a single shark returned after a day, he said. "Both of them, we really thought it was lights out, and it was horrible. We were incredibly lucky that our hull was strong enough to withstand the attack." When asked if they thought they might not survive, she said they would not be human if they did not. She attributed the credit to two dogs, which she called their companion’s animals, with keeping the spirit up. The US Navy rescued the women on Wednesday after a Taiwanese fishing boat spotted them about 900 miles southeast of Japan, well off their planning course, and alerted the US Coast Guard. The US Ashland arrived early the next day, the navy said in a statement issued on Thursday. A sailor greets Zeus the dog with his friend Tasha Fuiaba, on the boat deck of the deck of the USS Ashland. Photograph: Mass communication specialist 3r/AP. "They save our lives." Appeal said through the naval release "The pride and the smile we had when we saw [the US Navy] on the horizon were a pure relief." They informed the Navy that they survived because they had packed a water purifier and abundant food supply, mostly dried food such as oatmeal and pasta. 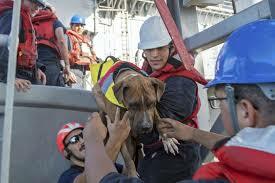 The photo the Navy shows Fuiaba smiling as a sailor greets her dog, Zeus, aboard the USS Ashland. “The US navy is postured to help any distressed mariner of any nationality during any type of situation, Cmdr Steven Wasson, “the commanding officer of the USS Ashland. Abel's mother told the Associated Press that she had never lost hope of finding her daughter. Joyce Appel, 75, who lives in Houston, said she received a call from her daughter Thursday morning after more than 5 months after the last time they spoke. She said, "Mom?" I said, "Jennifer!" Because I had not heard in about five months, "he said. She said "Yes, Mom", and that was really exciting. Jennifer Appel departed on 3rd May, her mother said, but her phone was lost overboard the first day she was at sea, and she had not heard from her daughter since. "Different things on her boat broke, and the engine did not start when she was in need of power. So, she faced many of the problems that caused her to eventually drift into the ocean," said elder Appel. Joyce called the US Coast Guard, approximately a week and a half after her daughter left Honolulu. 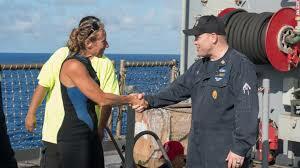 "The Coast Guard in Hawaii did a search and rescue efforts," she said. "I waited and waited and waited to see when I will hear from her." In that moment, the senior Appeal moved and got a new phone number and worried that her daughter did not know where to contact. "I knew she did not even know the phone number here," she said. "I hope all along, she is very curious and she is resourceful and as things break she try to fix them. She does not sit and waits for the technician to get there, so I knew the same thing will be true on the boat. For an adult, this may sound embarrassing, but kids can go extra miles to take care of their furry friend. — To kids, it’s natural. In fact, singing to a dog can be a lot more fun than singing to their playmate. For one thing, the dog will never develop the capacity for irony or satirical thinking so annoying in humans so any stupid or caustic lyrics a kid can make up won’t be understood. And the doggie will never fling these songs back to them. The footage had garnered more than 11.6 million views by Saturday morning. The family adopted the cute canine from the nonprofit American Lab Rescue group, which finds forever homes for Labradors and Labrador mixes. And also start singing to our furry companion. Singing to your dog is one of the life’s simple pleasures. Just remember that, should you be caught doing it, you’ll have to act as though you’re warming up for choir practice. Some time ago, someone came to me as I was doing show tunes geared to my dog down at our community garden, and I had to pretend that I was an American Idol contestant. They say the amazing thing about having a dog is that although none of you speak the same language, you can develop that deep relationship you will not have with a human being. Dogs are very similar to humans, and the similarities outweigh the disparities. Like humans, dogs can also wear clothing and there are different types of clothing available for dogs of all sizes. Some of these clothes are dog shirt, dog jackets, etc. 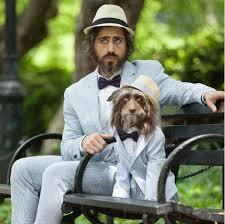 Just think about it, dogs can wear all kinds of clothes, whatever a man can wear, the dog can also wear them. The interest of the dressing a dog is an owner and the dog has no opinion or option. 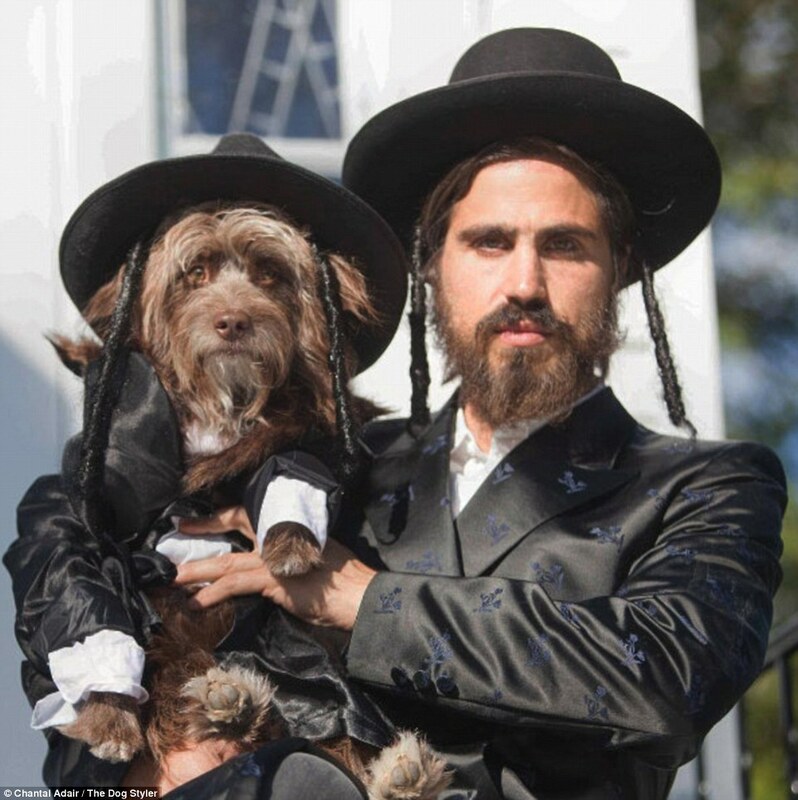 The owner can dress the dog according to his taste. 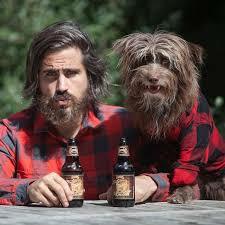 You often hear about people who look a bit like their own dogs. 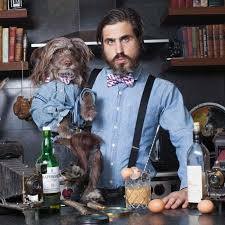 But Topher Brody and his furry pal, Rosenberg, not only look uncanny alike but also share a taste for fashion. When Brody realized that he and his Aussie doodle had a striking resemblance, he came up with a funny idea that he hoped to make people smile. "We look pretty much the same physically and we do everything together, so dressing the same feels natural to us. I want to be remembered for being more than fashion icons. We are also the new media influencer artists; we are the new media, who change the world. A single click at a time allows millions of people to smile and live in a moment and spend a few seconds starring on the screen. A cowboy is always helpful when someone is in trouble. He does not betray trust. He does not back on his word. A cowboy is a true patriot, nice and cute to little kids, old folk and cowboys never take an unfair advantage, even from the enemy. My soul honors your soul. I honor light, beauty love, truth, and the peace within because it is also inside. In sharing these things, we are united. We are the same, we are one. A real naval leader has the confidence to be alone, and the courage to make difficult decisions and sympathize to listening to the needs of others. He does not specify to be a leader but becomes one through the equality of his actions and his integrity. Your eyes are the entrance to your heart ... much can be completed from their expression, including your feelings and inner being. Therefore, it is not surprising that the eyes have been a source of inspiration for poets, authors, and artists since time immemorial. The only way to do a great job is to love what you do. If you have not yet discovered it, continue searching. Don’t give up... As with all matters of the heart, you will know when you find it. 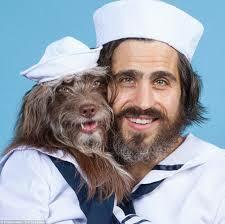 And when you do, just like Rosenberg, the dog, and Brophy, you will be the happiest person. If you are a dog lover, you probably already know that more and more companies are adopting dog-friendly-policies. 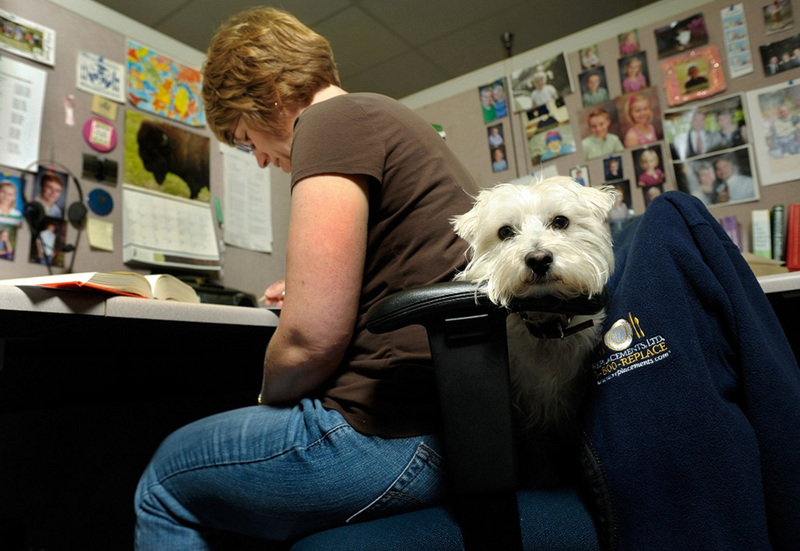 Dogs are now taking over their owners' offices, as managers allow workers to bring their dogs to work to reduce stress. One survey found that bringing dogs to the office reduces stress, and more than a quarter of employers say they agree with a dog-friendly policy. 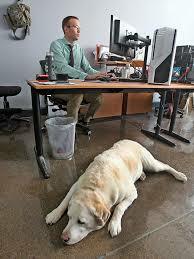 Employees are taking their dogs to the office, as several workplaces agree dogs are reducing office stress. One out of four businesses now has canine colleagues in the office. And more than a quarter of employers say they agree with this policy. Studies show that pets can reduce stress, make workplaces friendlier, and retain employees who do not want to be parted from their furry friends when they are in the office. 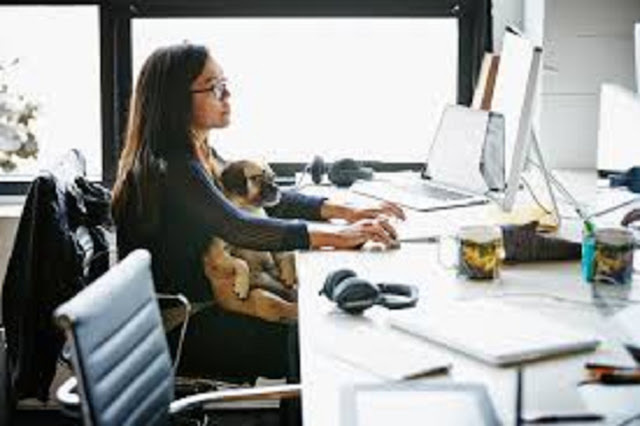 Employers said in a Purina PetCare survey that improving the Better work-life balance and friendlier atmosphere were the main reasons for allowing pets to accompany their owners to the office. The London-based anti-cancer charity Anthony Nolan has been dog-friendly for two years. About ten staff brings their pets to work, even take them to lunch at nearby Hampstead Heath. Sharon, who is moving from Hemel Hempstead, in Hertfordshire, she said "My cockapoo Teddi has been coming to work with me throughout his life and it thinks it is the norm. "She is upset if we do not include her in everything, and has her own places where she sleeps under conference room tables and snores very loudly, allowing dogs into the office means that it's easier for people to work full time. "Everyone knows her and will come to my office to see her for a cuddle." She certainly had a positive impact on the team, she smiled a lot. Music streaming company Deezer is testing a dog-friendly policy at its London headquarters after the employee was unable to get a dog-sitter. Cecilia Munth, 35, director of CRM, brings her five-year-old dog Woolly. "It's a trial period, but the success and positive feedback from the staff is clear," she said. "It’s been amazing to see the benefits, It's a great happiness, boosted morale, creating conversations and smiles," said Deezer Vice President Moore. 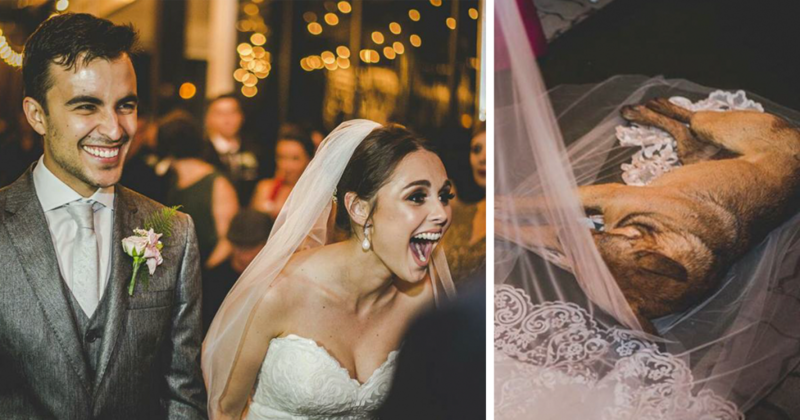 The couple had the sweetest reaction to an unexpected guest. Wedding Crashers can often be an unwanted and obnoxious freeloader. But that was not the case when an unexpected guest appeared at the recent wedding of Marilia Pieroni and Mattheus Gomez Martins. Marilia Pieroni and Matthews Gomez Martins were married in September. 30 in Laranjal Paulista, Brazil. When Marilia Mathews married on September 30 in Laranjal Paulista, Brazil, rainy weather forced the couple to take the concert to a tent. As the guests took their seats, a street dog with a dirty paw entered the area but was escorted outside. Then the dog came back again. "As the ceremony beginning, to everyone’s surprise, it was the dog that arrived when the wedding chorus began to play," Marilia told Dodo. The couple was pleasantly surprised by the furry wedding crasher. The puppy took a nap on the bride veil as the couple exchanged vows. For the second time, the dog was taken away, and the ceremony was carried on. But when the couple was exchanging their vows, the dog returned and plopped down on the bridal veil to take a nap - an instance capture in the above photo. "I was very surprised, I thought the little guy was really nice," said Marilia to HuffPost in Portuguese. The couple embraced their strange guests, allowing him to stay for the reception. According to the bride, the furry guest enjoyed some food from the buffet but disappeared again soon after. After the marriage, the couple decided they wanted to adopt the puppy and make him an official part of their new family. 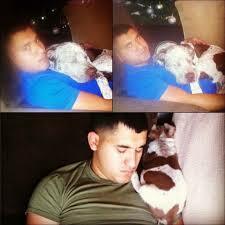 They trail him down on October 10, after receiving a call from a woman who knew where the dog was. The dog, who has since been named Snoop, has finally found his much-deserved home. 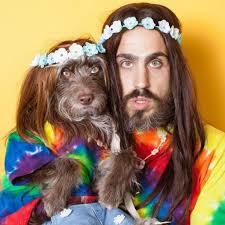 "Snoop is coping very well with his new routine," the bride told HuffPost. "He is very playful, needy and loving, and we are very happy with him." The couple now hopes that story will encourage others to adopt also. "Here in Brazil, we have many abandoned animals that live in the street," said the bride. "We want to appeal to people not to buy animals and to adopt them instead." 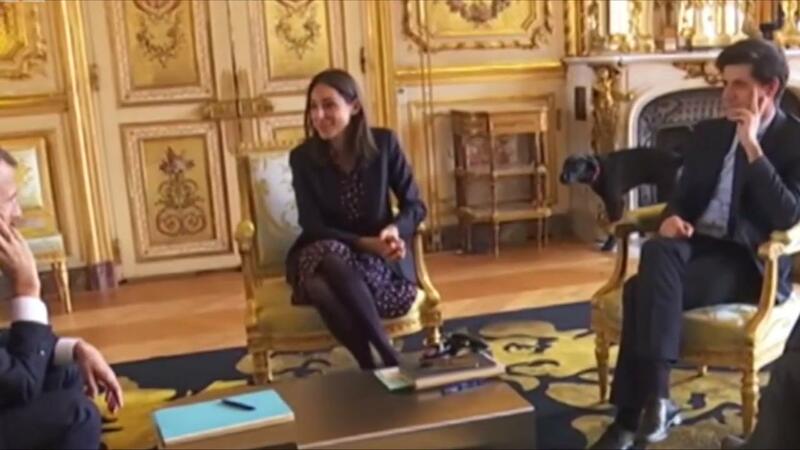 The stray dog the Macrons adopted from an animal rescue into their Presidential home in Elysée Palace has displayed a clear lack of gratitude toward his adoptive parents – by loudly urinating on an ornate mantelpiece while the president held a meeting with the ministers. The urinary act of rebellion. Nemo, the media favorite has been caught in a steaming hot controversy after derailing a filmed meeting with senior officials by peeing on a gilded fireplace at the Elysee Palace. The viral images captured by TF1 of France show that Nemo doing his business in the gilded office, sending the head of state and other officials into laughter. Julien Denormandie, Junior Minister for Planning and Brune Poirson, Junior Minister for Ecology were not able to maintain a straight face before their boss when the serious debate about issues of state in front of LCI cameras was interrupted by the sound of streaming pee. The brazen culprit was Nemo, a two-year-old black Labrador-Griffon cross Macrons adopted from a rescue shelter in August. "I wondered what the noise was," says Poirson, playing coy, in the video. “Does this happen often?" Denormandie asks. "You've triggered utterly unusual behavior in my dog,” the President replied. Macron was trying to avoid failing personal ratings and an icon as an autocratic technocrat when he spent some hours selecting the dog with his wife Brigitte. Since then, the dog has appeared in predominantly positive stories, such as when it “stood to attention” next to the president of Niger Mohamadou Issoufou in an official ceremony. It is the tradition of all French presidents to get a pet Labrador in the office, although several previous four-legged occupants of the Elysee Palace subsequently acquired a poor reputation for disorderly behavior or causing damage, and it is uncertain whether the fireplace event will dampen Nemo’s popularity. Many dog lovers do insist that there is not much to go on in our dog’s brains beyond "Bacon!” And "Squirrel" Science, however, is in our favor. Using MRI and a series of behavioral experiments, researchers like Stanley Coren discovered what we already know: dogs are quite intelligent! Meet the Japanese dog who runs the cigar shop. This video of a dog that has its own store in Japan will instantly make you happier. Shiba Chan is a dog that runs a small cigarette shop in Tokyo, the Musashikogan station. 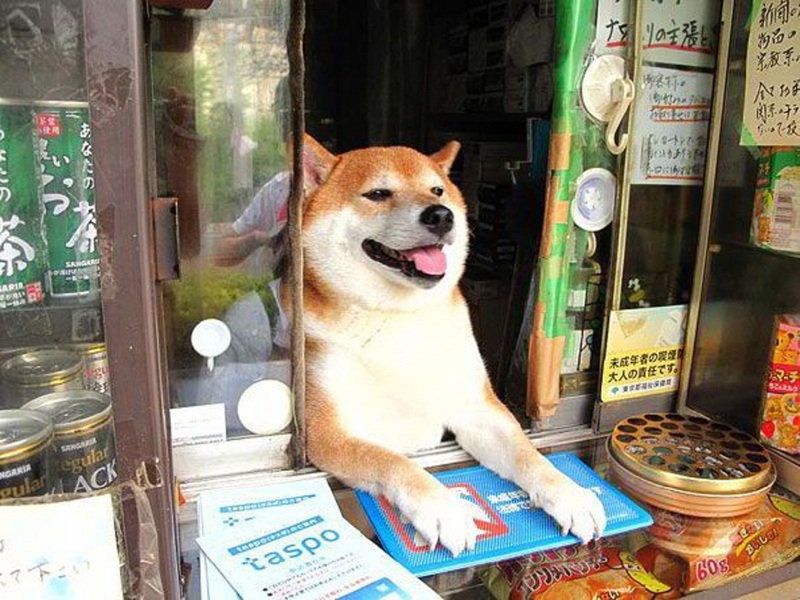 The name of the store is Suzuki, a small cigar store in Tokyo that has the best salesman of all time: the adorable Shiba Inu, who opens his shop window to customers. The cute dog, which lives in the store with its owner, attracts both regular customers and tourists from all over the country who come to purchase a pack of snacks or cigarettes and as well as saying hi to the amazing shopkeeper. This dog, which is quite similar to the internet-sensation Doge, runs this cigar shop in Japan and became an overnight sensation thanks to its charismatic service skills. Some stores on the high street may want to think about replicating this level of service. Okay, so he probably does not really go and get you a packet of Marlboro light and a pack of gums, but this barely matters because of its human nature. This dog never grumbles of taking the opening shift - as long as he can be nuzzled with a cucumber during break time. Maybe the dog might interest you in a puppy periodical. The number of views on this YouTube video has exceeded almost a million views, but these few seconds are undoubtedly the most important. Although we have not been able to get the name of a dog, we know that he works in a store called Suzuki. This dog looks suspicious like a Doge. So you can bookmark this page and consult it when you need it, or even better, book a trip to Japan to hunt this absolutely amazing dog. This video contains more information about this dog, including store directions. Watch the great video below. Nobody likes to think about it, but there is always the possibility that your beloved dog could hurt himself when you are away from home. Thinking ahead and putting together the dog first aid kit will allow you to safely treat minor injuries yourself when you are away from home. Perhaps most importantly, in the event of major illness or injury, the same group will give you the tools to keep your pets safe and comfortable until you take them to a veterinary center. 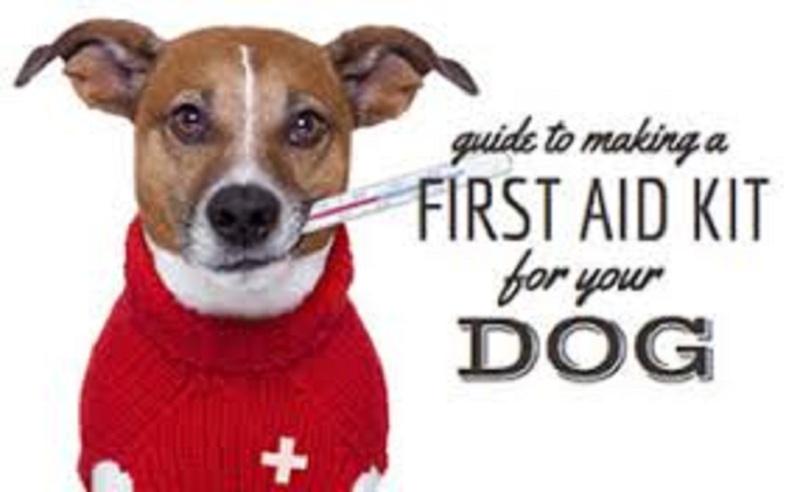 So, if you are wondering how to create a dog first aid kit for home use, you should continue reading as below are some tips that teach you to do just that. 1. Purchase a commercially made kit: The easiest way to get a dog first aid kit is no other than buying a commercial one. However, this is definitely a more expensive option and you probably do not need everything that comes together in such a commercial made kit. 2. Create a dog first aid kit yourself: I strongly believe that creating a dog first aid kit is a much better and less expensive option. It is not a difficult task to complete. The first thing you should do is get a waterproof container that should be large enough and strong enough to hold all the items together. One suggestion is to use a lunch box which you probably already have at home or even a plastic shoe box. To locate the first aid kit easily in times of danger, you must attach a label on the outside of the box. You may think that as you have prepared the kit by yourself, you will no doubt remember what it looks like or where you have placed it, but during an emergency, you may feel too panicky about remembering it. So having a label like “Puppy First Aid Kit “will help you find it easily. Even members of your family can help you get it easily when you need it urgently. Now that you know you can easily prepare first aid for your pet at home, your next question will be what items should be included in the kit? Remember that your goal is for it to be useful, and inexpensive, so you really do not need to include many things inside. • Blankets for wrapping your dog in should there be an accident and you have to send it to the veterinarian. 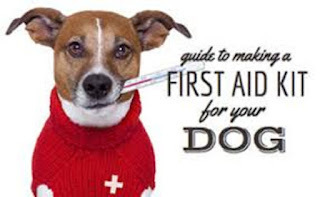 You now have a list of items that you can easily include in your dog first aid kit and these items are not expensive if you buy them individually. As such, it is not really necessary to buy an expensive commercially made first aid kit. When you find items that you think you might need to keep your puppy safe and free from injuries, you can simply add them to the kit. The most important thing to remember is to constantly check the expiration date of the medicine you have put into the dog first aid kit. Your first aid kit is ready to use! Dogs are called best friends for a simple reason. They are the most adoring and loyal creature’s earth on. A dog will love you unconditionally and all they want to do is love you and be with you. Our furry companion influences us in an incredible number of ways, from boosting our immune system to starving off dementia. With all dogs has done to a human, it is not surprising that they are nicknamed as man best friend. There is no better way to describe this bond than the story below. Rebecca and Juan "Frankie" Hernandez were high school sweethearts. They engaged shortly after graduation and marriage when Rebecca was 21 and Frankie was 22. Frankie and Rebecca on their wedding day in November 2012. 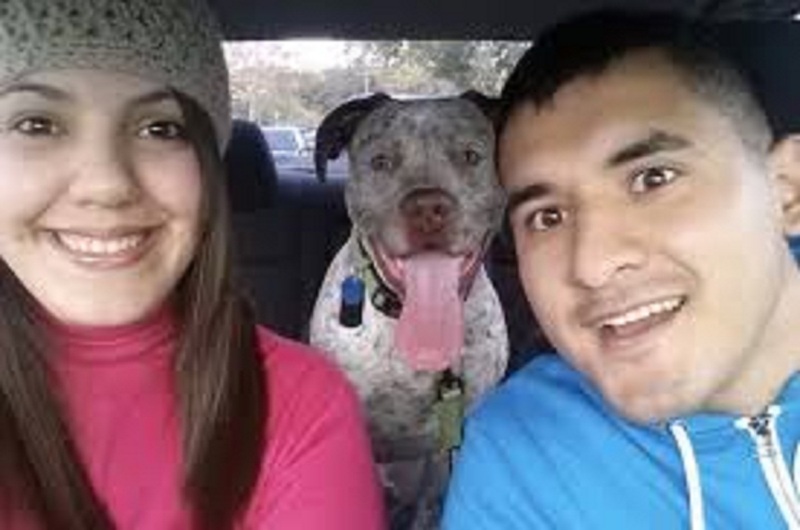 Immediately after their marriage, the young couple decided to add a new member to their family – a mix pit bull named Apollo. Rebecca told Huffington Post: "It was the best decision of our lives"
Frankie and Apollo immediately bond and became "best friends," according to Rebecca. “Those two were always up to no good bad," she said. "They always wrestling with each other, I felt like their mother and always told them to behave." A little over a year into their marriage, the union hit the rocks, and the couple parts their ways. "We were young and married, not as mature as we thought," Rebecca told Huff Post. The couple decided to separate in 2015. After their separation, Rebecca took Apollo and moved from her home in Houston, Texas, to Mercedes, Texas, where she grew up. Even though Frankie remained in Houston; however, that has not stopped the thoughtful ex from sending Apollo a birthday card and gift every year on his birthday. 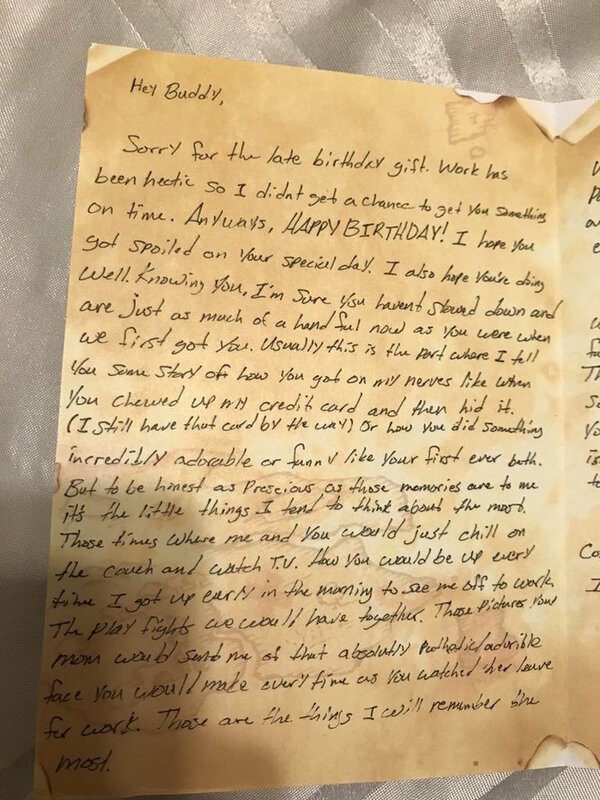 The first half of Frankie’s letter to Apollo. py that fits in the palm of my hand to a big dog that you have now been nothing less than an adventure, and I love every moment of it. There is frankly no time when thinking of you could not put a smile on my face. I will always be grateful for that. There is no day that I do not think of you. The second half of Frankie’s letter to Apollo. This story is one such reason why dogs are constantly referred to as man's best friends and invariable buddy. They get this classification from their ability to help the owner with multiple problems. They are almost like having your own live-in therapist. Studies have shown that people who interact with pets live longer and have a much better quality of life than those who do not. Tyler McCready, like most high school seniors, donned a hat and gown for graduation from the Rose Bud High in Arkansas. So did his constant companion, Sinatra. Sinatra, who appears to have at least one blue eye as his namesake, is McCready’s diabetes alert dog. They are both connected at the hip. 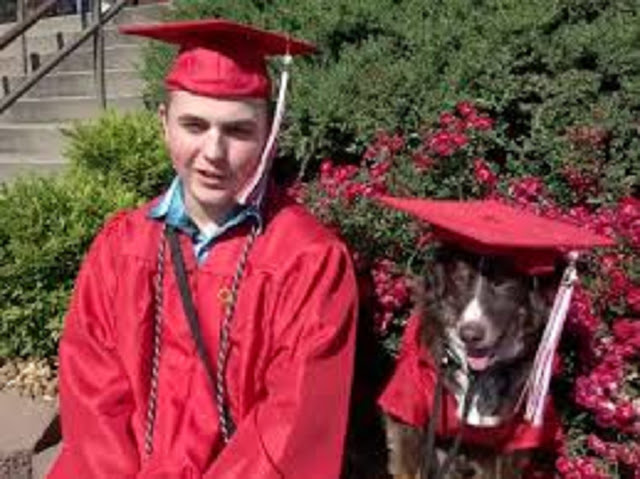 So it made sense for the two of them to walk and get a diploma together. ; Jerry McCready, Tyler's father, told THV11, "He’s been here since Grade 10, so he’s earned it." "He has not really been a good chick magnet, and I haven’t gotten any phone number," Tyler said jokingly. Tyler was diagnosed with type 1 diabetes in 2012 and since then, he and his family have learned to live with the disease. Wherever Tyler finishes for college (he wish for Florida! ), Sinatra will accompany him. "We did not know anything about diabetes, and nothing is known about counting carbohydrates, none of that." I was thrown into a whirlwind, "said Tyler's father. They got a GOFUNDME together to raise money for a dog service, one that might let Tyler know when his blood sugar was getting high or low. "In a few weeks we got the money and It was mind," Tyler said. "He goes to church and goes everywhere with him," Jerry said. 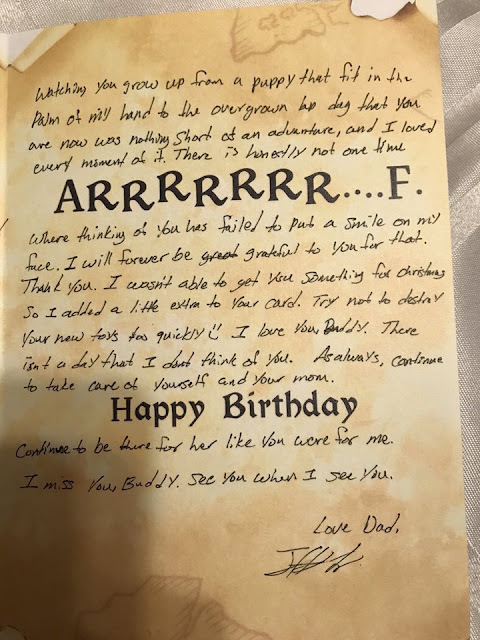 "He will paw and let him know that his sugar is dropping, and Sinatra is usually a little faster than the diabetes equipment he got," Dad said. It appears Sinatra receives a complete gown-and-cap treatment along with his best friend. Tyler says he wants to attend college at Full Sail University in Florida State University. Sinatra, of course, will go with him. Getting back to work after being laid off for a while can be a challenge. Perhaps the former employer has downsized. You may have lost your job when the company closed. It does not matter if it's about layoff, illness or even because you got fired, the fact is that getting back to work is often a challenge. You may find out that the whole process is difficult because you need to convince an employer that you are worth hiring. When you have been away for a long period of time, you must take additional steps to prove that you are worthy of hiring. It is very difficult to explain it in words, but anyone who has lost a job for some reason knows the emotional toll that affects the body and soul. Worse still, the rest of the world is still moving at a very fast pace, making it difficult to deal with the loss of jobs. But this dog situation was very different. When Gavel the German shepherd was sacked just for being very friendly with the police work. He was fortunate enough to get a better one without difficulty. His handlers at Queensland Police Department in Brisbane, Eastern Australia have decided in February that the dog was too friendly for the force and cut him from his 16-month training program. They said instead of catching thieves and sniffing out explosives, Gavel much preferred getting her belly tickles and caressed by strangers, BBC reports. There were a lot of comments from people at an open day on the weekend expressing how much they enjoy following through the social media Gavel’s progression from aspiring police dog to Vice-Regal Dog. The truth is that we in the government house have loved sharing his story with you! And so today we are releasing and re-releasing some of our favorite Gavel moments, some more candid than others. 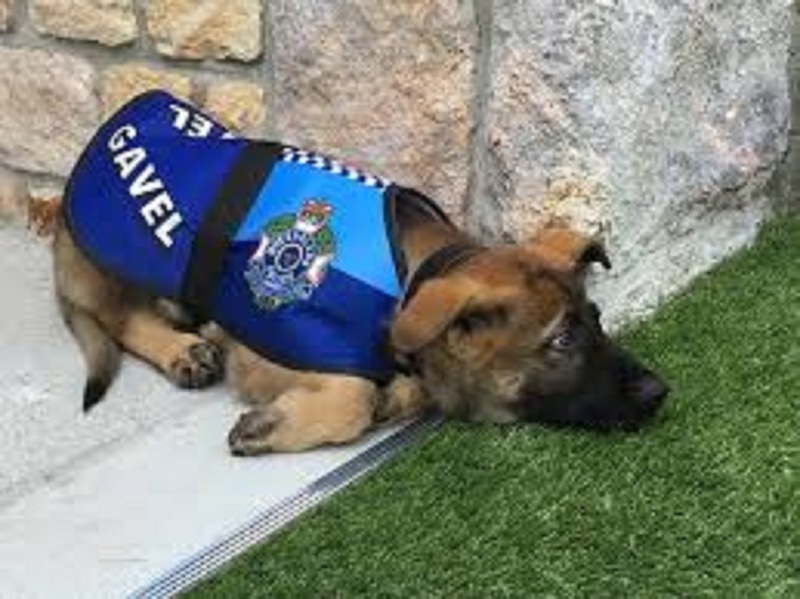 Check out this amazing video of Gavel, the dog was just too friendly for police service. Dogs are very smart. They adapt to almost any environment you can live. They can adjust to the circumstances that surround them. Their hearing is better than ours and their noses are very sensitive and they can tell if you are wearing clean socks. Even with all their senses, they still insist on living with a human. To a dog, companionship is life. Meaning they want to be close to us most of the time. We should work hard to win this love and respect from such a noble creature. This dog, called Eclipse, is the happiest passenger you are likely to see on public transport. She was given her very own bus pass so she can visit her favorite dog park. This Seattle gal is a regular passenger on the bus, and the just seeing her offers great entertainment for other passengers, one of whom recently shared a photo of Eclipse on Reddit. "This is Eclipse," says the caption. 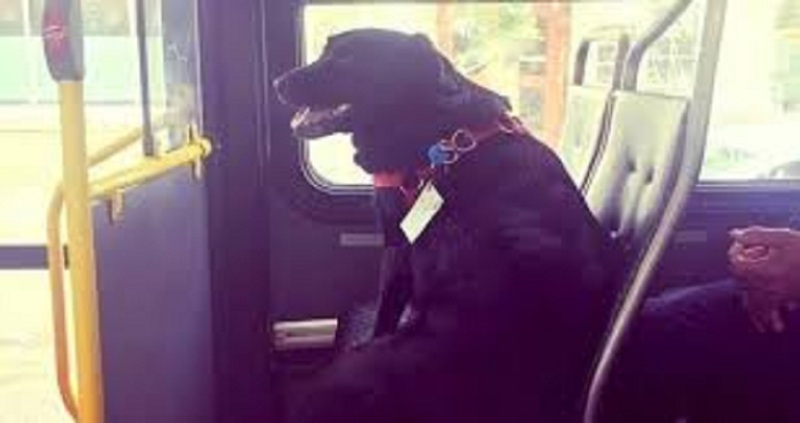 "Every day she leaves the house on her own and takes the bus from the city center to the dog park, so she has her special bus pass attached to her neck collar." Another Redditor said they used to see her every morning. 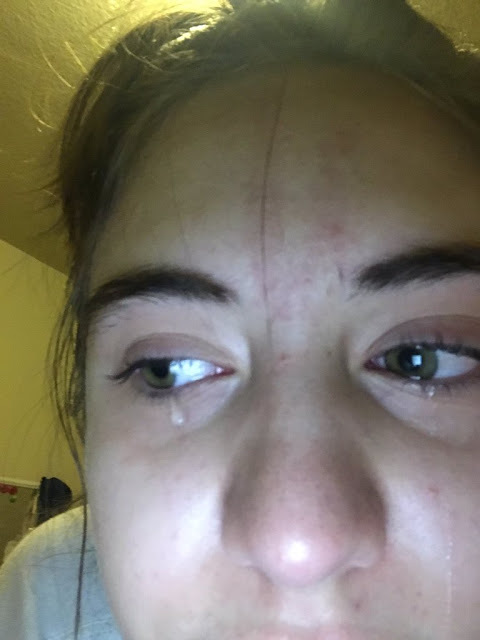 "I used to get on the same bus station and ride the same bus with her every morning in Seattle, and the owner of Eclipse detested all the publicity she gets, but she understood." Occasionally she will get on the bus without paying attention to others, and then she will go down at the dog park and he would meet her there, a very cool dog. Although we do not accept allowing dogs to travel freely, because no one knows what can happen to them - Eclipse and her bus pass certainly are cute. Dogs are funny and they entertain us every day. These faithful dog named Tebow give new meaning to the term "dog guard". According to a friend of Tebow family who records the video. My friend girlfriend is pregnant and her dog has become very caring of yet to deliver the baby. They vow the dog started this on his own and the friend just had to get it on video. 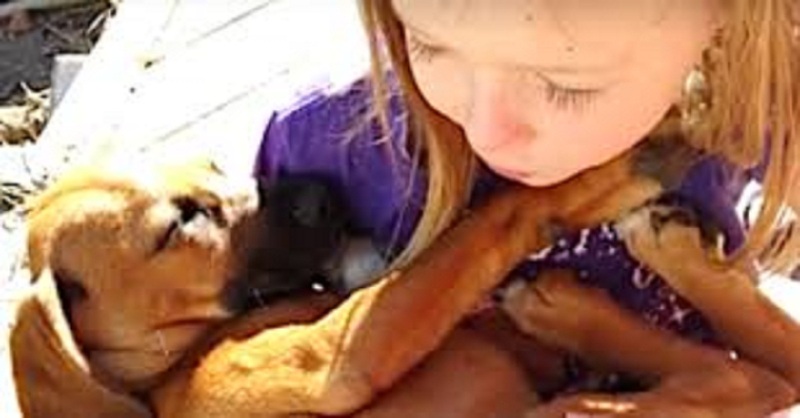 Before the child gets involved, the dog is not cruel and poses no threat to anyone. He simply decided that no one should play with the woman belly. The pregnant woman’s boyfriend asked his buddy to video Tebow each time he went to touch his pregnant girlfriend’s belly, The friend says, Tebow, a pit-bull boxers mix, has become so protective of the yet to deliver babe," says the friend. "He noted that the dog has not been trained to watch over the unborn. In the video, every time he tries to touch his girlfriend's belly, Tebow freaks out and make him back away. It's amazing to be a witness, but it's interesting to see how badly the dog wants to take care of her. Initially, it may not actually believe it, but this is true because of the way this smart dog acts. 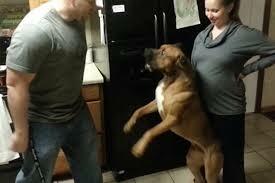 Every time the man tries to touch his pregnant girlfriend, the dog really prevents him from doing so, as if he knew that there was a child growing inside her. This is a surprise for everyone because nobody really taught the dog to do that. It appears this behavior is not uncommon, and dogs are very familiar to their owners and know how they behave, the dog chooses the habit by itself, and this habit seems not rare in dogs. The Baby Center has discovered that dogs are extremely alert and notice changes in their owner's body when she becomes pregnant and dogs become too protective. 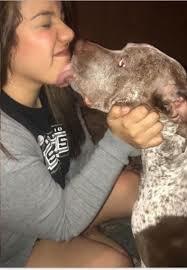 Because of this, they even bark at a family member and the only way to avoid the dog anger is to keep away from the pregnant woman while the dog is around. It is a well known fact that dogs are ranked as the most intelligent animal species- right up there with elephants, chimpanzees, and dolphins. Dogs are as smart as the average two years old kid, according to animal scientists. Experts have established that dogs can understand up to 250 words and gestures, and can count to five and can perform simple calculations. Like the children, two dogs patiently wait for the Doggie school bus to take them to play with their furry friends. You can hear Rudy's owner saying "What's this, is that your school bus?" The puppies lose their mind, run to the door waiting for the door to be open; you can also hear the dog owner saying “are you going to school?” And the puppy answer by whimpering excited bark. She opens the door and says, "Go get them! It's a school day!" You can also see another dog, Richie, running out of the room to catch up with the doggie school bus. It looks like all the dogs are very excited about going to school. The dogs run through the door and the video follows him to the Doggie school bus. Rudy and his colleagues can’t wait to go to school. The instance the owner says, "Is this school bus?" Everyone goes to the door. They climb the stairs and stretch up to the doggie school bus, which will take them to a day of fun activities with other puppies. 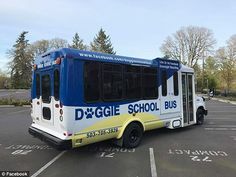 The Doggie school bus is in West Lynn, Oregon. The bus arrives at different dog home and picks up the puppies for a day of fun Montoya Art in West Lynn, Oregon. Montoya has been taking care of puppies for the past six years and does pick up, drop off and overnight services. Facebook cannot stop talking about how good it is, judging from the picture, videos, the dogs also love it. 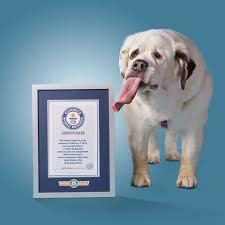 The video has approximately 12,000 likes and the dog’s video have been seen more than 150,000 times. There are a lot of factors to keep in mind when discussing the importance of dog life jackets for family pets. 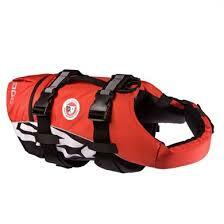 The concept of life jacket to a lot of consumers is a perplexing one. After all, the familiar doggy paddle was inspired by dogs. Unluckily, contrary to popular belief, not all dogs are excellent swimmers and a dog's life jacket can mean the difference between life and death during a water outing incident. Some dogs are not built for swimming. A lot of dogs swim and swim well, but there are simply some dogs that cannot swim. 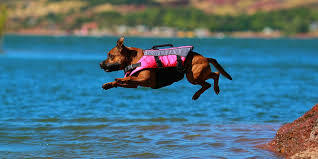 It is best to protect your dog with a life jacket until his skills are tested in a safe environment. Even if the dog is a proven swimmer, older dogs or a dog with short-legged, weight problems or underlying health conditions may not survive an unexpected dunk in the pool, river, or local pond. Swimming can be a strenuous exercise in which a beloved land loving house dog is not always ready to face. Fitting the family dogs with dog life jackets provides the necessary flotation support to reach the boat or swim to safety. Parents generally fit to human children with life jackets and flotation devices even if the parents can swim. It is comforting to know that if a child falls unexpectedly in deep or fast water, there is a safety device to help parents save the baby. Pets are no different. It is possible that the animal may needs to be rescued and if the owner is not a good swimmer, the dog life jackets are almost his only hope. Even excellent swimmers suffer water injuries. While a dog may be a wonderful swimmer under normal circumstances, unfortunate accidents near water can leave a dog injured and helpless. Head injuries or loss of consciousness may happen after a fall, leg cramps, cuts or even a temperature shock can make dogs falter with in swimming ability. 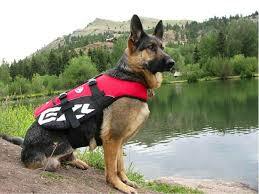 Simple dog life jackets give dogs a support needed to stay afloat during an accident or water injury. Dog Life jacket allows dog owners to relax during water outings. As many owners know dogs are like children in the amount of supervision required to keep the dog free of problems. While pet owners should always monitor pets around the water, wearing a life jacket helps dog owners relax in their outings knowing that the life jacket is available to help save the family furry friend if necessary. Dog depends on its owner for the rescue. Dog owners promise to care for their dog regardless of the emergency or need at hand. From small vaccines to rabies and dog cancer vaccines, dog owners protect their dog at all costs. Maintaining the health and safety of a family dog is a priority for responsible dog owners. This is especially true when a water accident at the lake or pool leave fights the dog fighting for its life and a simple flotation device helps in its rescue efforts. It pays to be safe rather than apologetic. The old saying is true in many adult life circumstances. Dog Life jackets are available in all shapes, sizes, colors, and patterns to provide extra protection that a family dog may need. Dogs life jacket may seem ridiculous and unnecessary to many, but for a family whose dog is saved by a flotation device, it certainly better to outfit Fido for safety rather than risking the alternative. When you have instructions, "a manual" and pointers on how to do something, almost any task becomes easier. With this kind of help, you're almost sure to be more successful with it. In this article, we will deal with tips on dog grooming. We offer you seven of them, and we hope it brings you success. 1. A good dog groomer will offer a complete list of options to meet the needs of each pet owner. Keeping your furry pal well groomed and clean is important. A lot of dog fur naturally sheds which is a component of their genetic make-up and breed personality. Another important point is to keep in mind that some dogs shed their hair more than others. 2. Some dog's hair grows very fast, while with others, it can be much slower. All dog keepers spend a lot of time with their dogs and, of course, it makes sense to understand the wishes of dog lovers. Pay close attention to this important step: or you will find that your home is full of dog hair. 3. As well as consider a routine method related to your dog’s breed, it is important to make sure that your dog groomer appreciates that people like the outward appearance of their dog friends. Pay attention to this important element of dog grooming and also think of the device your groomer will use, but this is a huge area to talk to since all dogs need a different grooming. 4. All pro dog groomers know that formation of mats and tangles is a common problem in many dogs. Mats and tangles can basically be extremely difficult for any dog keeper, so groom your dog frequently does not allow them to develop! Doing this is easy: simply brush and comb your dog in a continuous routine. If or when you see any mat and tangles, use a disintegrated solution and brush with a medium toothbrush. If your dog's coat does not need the handling of a Pro dog groomer, you may be able to be his sole groomer. But do groom all dog breed regularly. 5. Your puppy will benefits physically from the activity. Dog grooming distributes skin oils through the dog's coat, eliminates loose hair and irritation, and keeps hair free from dust and tangles. 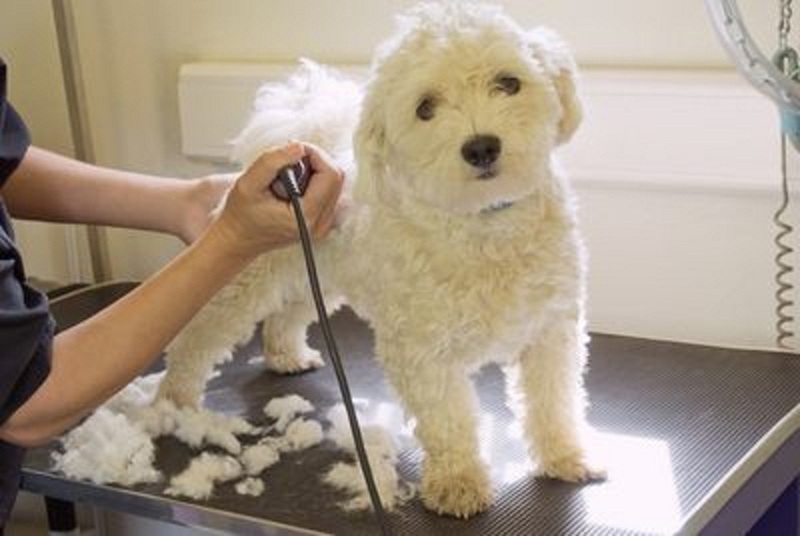 While you are grooming your dog, you can take a look at any changes in your dog body and detect possible health problems, including the presence of fleas. This can be important because the unnoticed flea infection can end up with the owner getting bitten by flea if an infestation builds up at home. 6. Clean your dog's ears quickly as soon as they look dirty on the inside. or even smell a little. Cleaning your dog's ears may be simple, but you should follow reasonable precautions. You can look for a video on YouTube where a dog keeper has downloaded some good instructions. Watch as they guide you through the ear cleansing routine, step by step in order to help you perform ears cleaning for your dog. This is often a critical point because, if there is an ear infection, you can find out what attention you need to take by talking to your veterinarian. Everyone loves dogs, right? I mean, what do you like about our beloved dog companion? Certainly, everyone feels the same. Dogs bring a lot into our lives, and while they may not be the most independent creatures to invite to your home, they do not ask us for very much in return for their doggy kindness. They make us laugh; they love us unconditionally and are happy to clean up any food that we happen to drop on the ground. In exchange, all our dogs want is a warm bed and a few belly massages, and maybe a couple walking in the park. 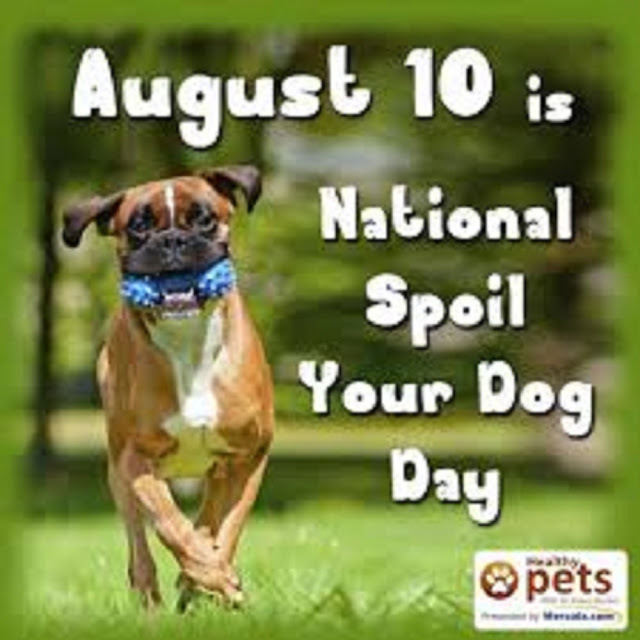 But the national spoil dog day is all about showering your furry-friends with an appreciation for all the friendship we enjoyed in their company. Whether you have a small toy pug or a giant English mastiff, this Tuesday is your chance to break the day to day rules of endearment and actually go all out to show your dog how much you love him (or her). The sad truth about dogs is that they don’t live as long as humans. But somehow, dogs pack a lifetime of love and get pass a decade. Dogs love us without questions and do not complain about our busy schedules or the taste of their food. For all the love, companionship, and straight-up adoration our dogs lavish upon us, don’t you agree they deserve a day of getting spoiled in return? National Spoil your dog day is the ideal time to spoil our dogs, and by concentrating a lot of our spoiling on a single day, we leave room for our dogs to enjoy a more balanced lifestyle overall. If you asking how to celebrate National Spoil Your Dog day, the following are the ways you can make your dog feel the imapct of August 10. 1. Do some doggy activities: All dogs love to walks, but this is just one of the many activities you can do on National Spoil Your Dog Day. Rather than walking around the block, you could take your dog to the dog park to mingle with the other dogs while walking. Some parks will host events related to dogs, especially on dog holiday, or you can organize your own dog party to get together with your dog –spoiling friends. You can as well take your dog to a pet spa and let the spoiling really begin! 2. 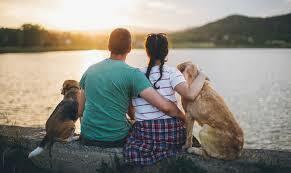 Love Your Dog: In all honesty, dogs do not care what you do with them, as long as you are spending time together. No one knows your dog like you, so take a moment to consider the things your dog likes the most. Give your dog a great belly rub and cuddle up on the couch for a movie marathon if that is what your puppy enjoys. Go to the waterfront or fill up the backyard kiddies pool if your dog likes to splash around. Whatever is your dog favorite, you can deliver with a little thought and some heartfelt appreciation for what your dog adds to your life. 3. Dole out the treats: All dogs love treats. But dog owners know that a lot of treats can be a bad thing. On this special day, break the rules and spoil your dog with as many treats as you want. You can keep it healthy by adding some natural treats like carrots, salmon skin, or coconut oil. 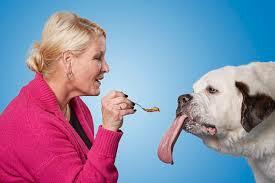 Some human foods are not good for dogs, so be sure to consult your veterinarian before sharing your food. The saying "dogs are man's best friend" has been around forever. Humans have established strong and lasting bonds with their dogs. We feed and shelter them. We laugh with them in antics, we experiment with them, and we give them affection and love. In return, we receive fun, affection, exercise, unconditional love, and trust. We are worried about dogs when they look sad when they are sick. We grieve them deeply as they passed. In addition to the benefits we receive from our daily interaction with our dogs, it has been shown that dogs have a positive effect on physical and emotional well-being. This is illustrated by the thousands of stories we hear about dog owners who find it difficult to forget their furry companion when they passed. 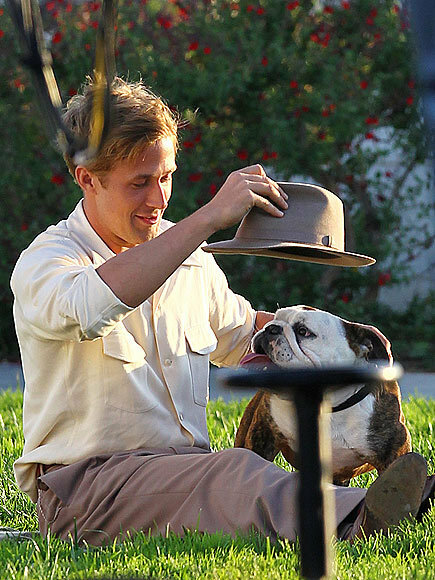 The story of American movie star Ryan Gosling and his late dog George is one of such stories. 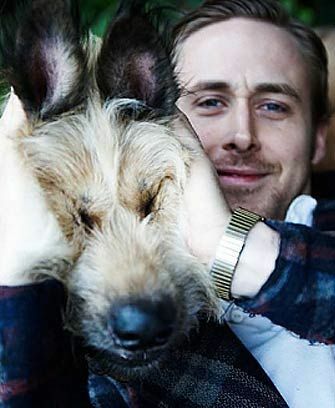 Ryan Gosling has many fans. But there is one particular friend who really impressed. During her appearance on the "Ellen DeGeneres Show" on Friday, the “Blade Runner 2049” actor opened up about the loss of his beloved dog, George, who recently died at the age of 17. "He died in December and was a good friend of mine," Gosling told host Ellen DeGeneres. "It's funny to say" dog "because I feel; there was something about George where I think he felt like being a dog was beneath him." For years, Gosling will travel and attend interviews with George, with whom he has been with "almost every movie." He even wore a T-shirt with George's face on it at the end of his hosting gig on the “Saturday Night Live” Season 43 premiere last weekend. The sport of dog surfing has developed its own special series of competitions that grow both in number and in participation in recent years. There are now contests in San Francisco, San Diego, Los Angeles, Hawaii, and other places around the world. The most common are San Diego windsurfing dog competitions. Dog surfing is exactly what it looks like: dogs ride on ocean waves. 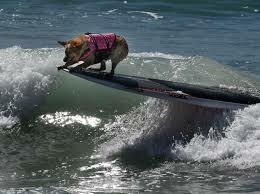 They are usually assisted by humans to catch the waves, sometimes even joined by humans on the board. It's also amazing to see how you think. Like some dogs like swimming, some dogs have an affinity for surfing. More than three dozen dogs took to the waves outside San Francisco, California on Saturday, as they compete at the second World dog surfing Championships. The furry athletes competed at Linda Mar Beach in Pacifica in various categories, including size and tandem surfing - whether it was dog pair or dog and human pairs. There was also a fetish and frisbee contest, including a costume contest. As seen in many videos and photos published on social networks, dogs did not disappoint. Homer Henard, who competed with his 6-year-old dog named Skyler, told the San Mateo newspaper: "If your dog in it, then it may be something cool to share." As it turned out Skyler, a Queensland Heeler is not only in it but good at it. She walks away with not only the second place in the large surf dog category but with first place in the tandem human/dog category. "I'm very lucky," Henard said of Skyler's talent and ambition. "I'm a passionate surfer, my whole life ... and it's great to share it with her.